Every morning is almost exactly the same. I walk into the kitchen, get my coffee, grab my snuggie (yep, you read right), and flop into my recliner. After taking the first couple of magical sips of coffee-goodness, I open up my laptop and go straight to my blog. It doesn't really matter how early it is (usually 6am), I still want to do bloggy things as soon as possible. I don't always go straight into writing a post. Often, I'll go into my blogging Facebook groups and check up on anything new. I check my emails. I schedule my pins on Pinterest. I moderate my blog comments. It's all pretty routine, but it is a whole lot of work. But a lot of people don't realize that. As a blogger who is working towards a full-time blogging career, I am frequently asked how someone can make money blogging. It's a fair question. And I don't mind answering- actually, I enjoy it. But sometimes when I've just described my blogging plans and dreams, I tend to wonder if the listener is thinking something along the lines of: "That's not a real career" or "You really think you can do that?". And if they are thinking that, I can kind of understand it. Blogging is different than most career paths and because our revenue streams come from multiple places, it can be confusing to the non-blogger. But it is important to me that people understand both the hard work that goes into blogging, and the fact that blogging isn't just a little hobby. It's a passion that I am so excited about. I recently had someone tell me that they can see me light up when I talk about blogging. And that is so true! I come alive, talk a whole lot faster, and pretty much can't shut up about it once you get me started. I love what blogging is for me: a creative outlet, a ministry, a way to use my degree, and a way to be in community. 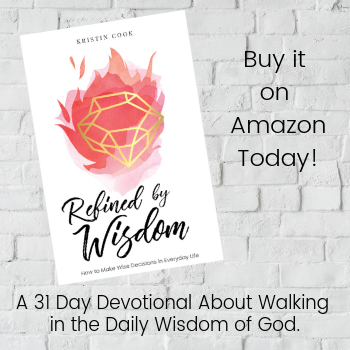 Blogging let's me speak boldly about the things God is teaching me. 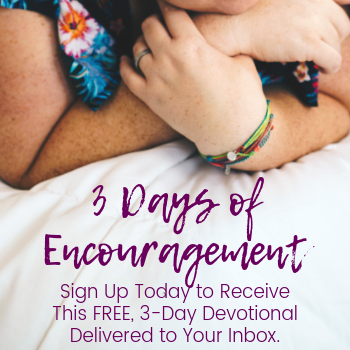 It allows me to encourage others to do the right thing, or to stand tall during trials. Blogging allows me to "meet" new people and develop friendships. Blogging pushes me to be a better, more disciplined version of myself. 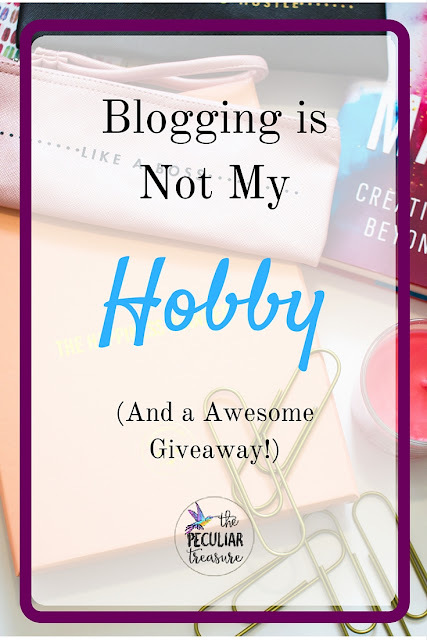 Blogging is not my hobby. 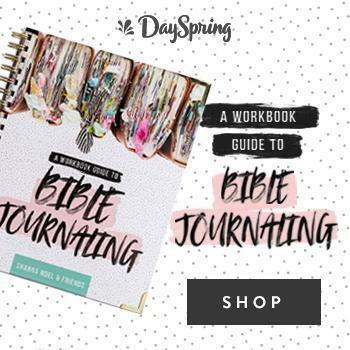 Blogging is a passion that I intend to follow and utilize for God's glory. Blogging ignites something in me that I didn't know existed. So if you don't understand my blogging goals, I get it. But please, oh please, don't stand there looking at me like I'll never make it. Just because it's a hard path doesn't mean it won't be amazing! Now that I've gotten that little tangent out of the way, I'm excited to announce a giveaway that I am participating in. Please make sure you enter, as there are some awesome prizes! 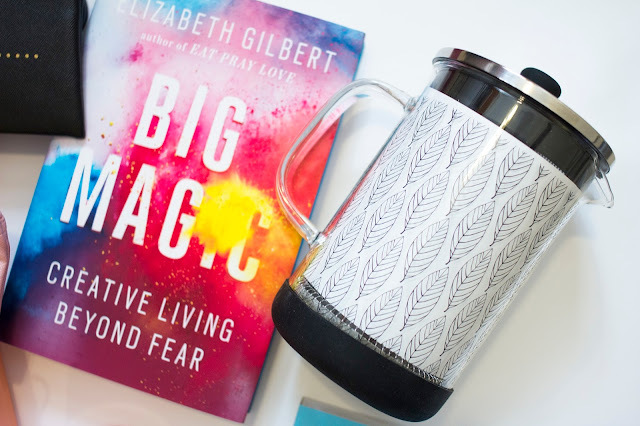 For this giveaway, I have teamed up with some awesome bloggers and creatives to bring to you an AMAZING giveaway bundle full of things that all bloggers and creatives love (and need!) 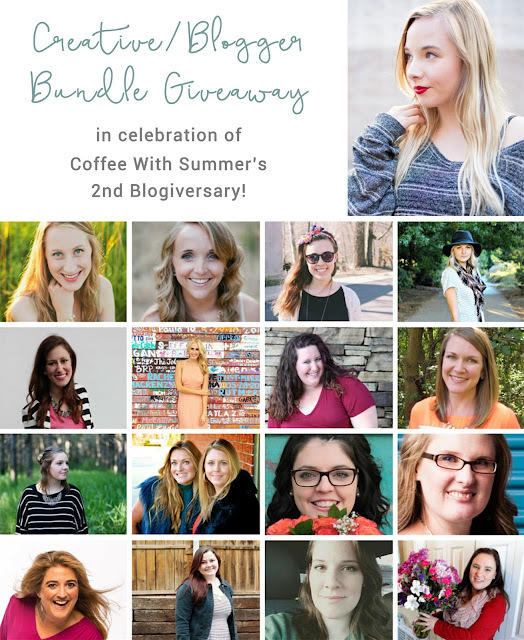 in celebration of Coffee With Summer’s 2nd Blogiversary! All you have to do to enter to win all of these goodies is to complete as many tasks as you would like to! The more tasks you complete, the more chances you have of winning! The giveaway runs from July 26th - August 3rd and the winner will be notified and announced on the Rafflecopter form by Saturday, August 6th. All entries will be verified before choosing a winner. Enter fairly! (Giveaway is only valid in USA and AUS). I love your thoughts on this and totally get it. It's more than a hobby, it's a passion and a calling. I feel like it's an act of obedience. Thank you! I definitely think it can be an amazing calling, no matter if other people understand it or not. An awesome post! Post people just don't understand everything that goes into blogging!! I agree so much with this! I'm blogging to put my degree to use and I started working even harder lately to focus on going full time! It's frustrating when people don't understand all the hard work that goes into it. Yes! It really can be frustrating. But another part of me can kind of understand why people don't "get it". I think this is my favorite giveaway to be a part of so far! And I love how passionate you are about blogging! I love this post! I'm also not of the mindset that this is just a hobby. I stopped working when my son was born with a form of dwarfism. When tossing around ideas how I could work from home, the only one that made any sense was to start a blog. I had a hobby-blog before and LOVED it so now I just put a lot more effort into learning as much as I can, while still finding time to post about all the things I love and want to share - it's a lot of work, but it's also fun! Exactly! The work is well worth it because it's awesome! I also tend to describe my blog as my passion. I think yours definitely comes through! I do call it a hobby though. I don't want to make my blog my career because I don't want to lose that passion I have for it because I *have* to do it. I blog because I want to and I have the drive to do it. Love this blogging world! The blogging world really is a blessing! People are always surprised when I tell them I blog full time. This sounds like such a great giveaway! You should enter, Greta! Some good stuff! Such a brilliant giveaway! and how love how your shared about blogging being a passion and not just hobby. Just because it isn't a full-time career yet, doesn't mean it's hobby. Not at all. Thank you, Cassandra! I appreciate that! I think my comment disappeared, so I'll try again. :) I really resonated with this post; I love blogging, too, and would like to turn it into a part-time ministry/income opportunity some day. My degree isn't in anything related to blogging, writing, or marketing - I have a music ed. degree with a piano proficiency! Teaching music was okay, but blogging is my passion. I love that I can openly share my faith and inspire others to deepen their relationship with the Lord. We'll see where He leads us both on this amazing journey! It really is such a blessing to be able to do this. And whether it is someone's hobby, or a goal of monetizing like it is for us, it is still something special. Girlfriend, I feel you!! 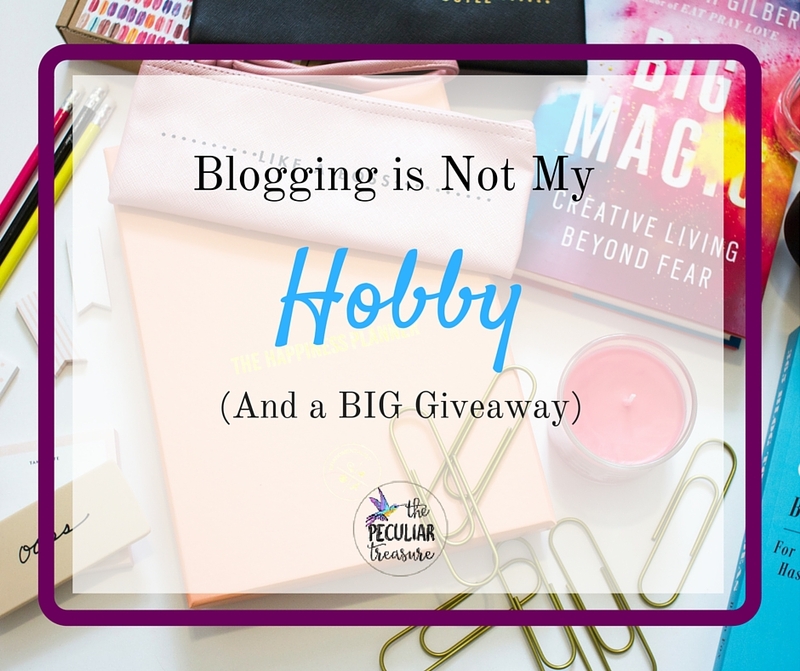 Blogging is NOT a hobby. It's SO MUCH MORE. Keep doing what you're doing and pushing to do it all for God's glory - that's amazing and the best gift! Thank you, Erica! That means a lot!